Emerger fly patterns encompass aquatic insects when the nymph reaches the surface and the adult hatches out to its winged, flying stage. The emerging nymph is the single most important nymph phase for fly fishers to tie and fish with. A great emerger pattern tied with CDC. Emerger pattern tied with CDC. CDC gives great animation to this emerger type wet fly. A little like a nymph but is best fished as an emerger. A versatile fly tied here by Shane Stalcup. Between the nymph and the adult stage mayfly. 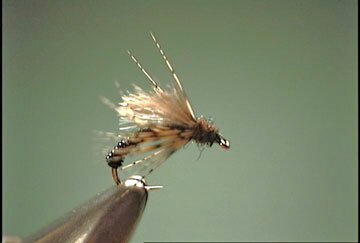 Another variation of an Emerger. With a CDC wing that looks just like an emerging wing. A pattern that can be used as a midge or mayfly emerger. RS-2 fly tied using CDC. 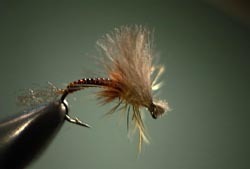 A soft hackle fly that represents a crippled or emerging insect. A very buggy looking emerger fly. 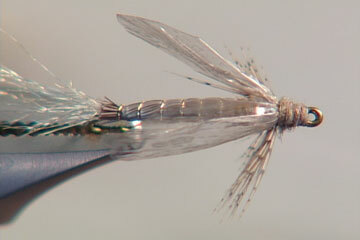 A unique emerger dun pattern. A mayfly pattern incorporating a new technique by Shane Stalcup. A great midge pattern for tail waters.